I stopped by a broker luncheon today the Bryant Back Bay on Columbus Ave. The developer is selling 10 units through an auction on October 17th. Minimum bids start at $1,075,000. All the units are 3 bedrooms. According to my research, there are dozens of other condos available in the 50 unit development, as public records only show 5 units sold. After walking through 9 of the 10 units up for auction, I have to say, I wasn't that impressed. 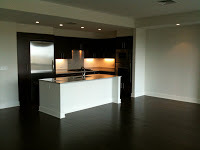 The finishes are beautiful and comparable to any of the other luxury condo buildings in Boston. However, I didn't see anything different or special to justify the pricing. 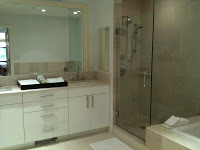 The interior features included direct elevator access, Viking appliances, granite counters, chocolate brown cabinets and floors, and white cabinets in the bathrooms with marble tile and Kohler fixtures. I found the guest bedrooms small, the views so so, and the rear patios/decks to be right on top of the bordering property. For the amenities, location, and finishes, it's worth considering if you can snag one of the 2000+ sq. ft. units for $600/sq. ft. If you need me to be available to represent you on October 17th, I would be more than happy to make time! Last updated April 25 at 12:17 am.